PRESIDENT Yoweri Museveni while participating in a mandatory community work fest (Umuganda) in Rwanda pledged $300,000 (about sh777m) to a Rwandan primary school. accompanied to Nalukunga Primary School by the Rwandan president Paul Kagame. President Museveni laid three bricks on the foundation of a building under construction at the school. I wanted to lay more bricks and continue working with you today on this project. Alternatively, let me make a financial contribution to this project, since you have given me little work to do today,” he continued. The school is situated in the suburbs of Kigali in Kanombe zone, and residents were constructing a new building for the school. The Umuganda takes place on the last Saturday of the month from 7:00am to noon. It is a Rwandan tradition that dates back to long before colonial times. During Umuganda, which literally means ‘contribution’, every able-bodied person aged 18 and above participates in the unpaid communal work sessions. Businesses close and no public transport operates. President Kagame revealed that the United Kingdom’s Conservative Party had also contributed to the development of the same school. President Museveni hailed Rwanda’s joint community work practice and said it was better than a situation where people wait for the Government to do all the work for them. The President He added that this made the cost of doing things cheaper. Museveni said he was “extremely happy to meet and work with the ordinary people of Rwanda at the invitation of president Kagame”. He pointed out that Rwanda’s method community work was a great solution to Africa’s poverty and underdevelopment. He said that in Uganda, the Government is paying attention to providing education that is why the universal primary and secondary education programmes were started. Museveni added that when his Government liberated the country, there were only 28,000 classrooms, which number has increased to 90,000. The President, who was speaking in Kiswahili with the mixture of Kinyankore and Kinyarwanda, said he preferred using the local languages since he was among fellow Africans. Museveni was accompanied on his official visit to Rwanda by the First Lady Janet Museveni alongside other ministers from the central government. The President is scheduled to visit Kagame at his country home in Muhazi today (Sunday). Former President Thabo Mbeki has accused the United Nations of destabilising peace processes in countries such as the Ivory Coast and Libya. He said Africans had lost confidence in the world governing body and that Western control over the UN would lead to the powerful nations installing leaders they preferred, to run the continent. Speaking to the Sunday Times, Mbeki called on African leaders to resist interference by the West. "There is weakened confidence of the Africans in this body. The task of UN peacekeepers in the Ivory Coast was to maintain peace between the North, occupied by the rebels and the South by government. The UN was supposed to make sure that the peace agreement is signed, that the two sides don't clash and find a political solution. But what did the UN do? It opened the door for the rebels in the North to march into Abidjan and carry out operations there side-by-side with the UN forces. These are neutral peace-keepers but they took sides. In Libya, the UN delegated its responsibilities to the North Atlantic Treaty Organisation (Nato) - a military formation of some countries, not a global body accountable to the UN or us. "We have the UN acting in a manner which is promoting particular agendas." "The Security Council has not argued that the situation in Libya and Ivory Coast constituted a threat to international peace and security, because they didn't. Yet they authorise the use of military force. The UN needs to be restructured in a way that it is representative of the peoples of the world. In the current situation I doubt if some of the members on the Security Council with veto powers are interested to effect structural change which is urgent. They are contemptuous people and are certainly not in the mood in which they can entertain an African view about the fundamental restructuring of the UN." "I think we can (stop them) provided that we act and they can see that if they take this kind of action they are going to meet the resistance of the entire African continent. That would make them rethink. "But unfortunately our voice is very weak and we have to do something to strengthen this and speak out about the rights of Africans to decide their future." "If there was respect for the positions that the African Union had taken to resolving the issue whereby the Libyans get together and decide their future, (there) would have been a process towards democratisation. "Unfortunately we saw these major powers deciding to intervene in a way which has perpetuated the war. In the Ivory Coast, President Laurent Gbagbo accepted the decision of the AU that he should step down regardless of the rightness or wrongness of the controversy and allow for President Alassane Ouattara to take over. "When the AU was due to travel to Abidjan to implement that decision, they were blocked by the French and the UN to create space for themselves to carry out military operations together with the rebel forces that were supporting Ouattara. "This matter was going to be resolved but unnecessary force was used to produce a particular outcome which has created more problems for the Ivorians." "The problem here is us the member states. The AU Commission complains that they are unable to do their work properly because the member states are not making their contributions to provide the necessary funds to enable the AU to do its work. So you have a situation where the AU wants to carry out an operation - it has to appeal to the EU for funds. The weakness of the commission is a reflection of the way that member states have dealt with the AU. Commending Kenyan Medical Services Minister, Anyang' Nyong'o, radical prostatectomy expert Dr. David Samadi discusses prostate cancer treatment in developing countries, as well as prostate cancer patients traveling to the U.S. for treatment. 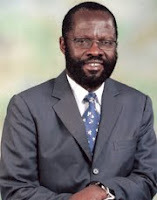 NEW YORK, July 30, 2011 /PRNewswire/ -- When Anyang' Nyong'o, Medical Services Minister of Kenya, returned cancer-free to his native land in March of this year, he made a commitment to the people ofKenya. "My experience is a wake-up call for us in Kenya," he proclaimed. Following a prostate cancer diagnosis by his Kenyan doctor, Mr. Nyong'o chose to put his life in the hands of a prostate cancer specialist in the United States. Now back in Kenya, Nyong'o is establishing the African Cancer Foundation to initiate reform in how Kenyans approach all types of cancer -- from education to diagnosis and treatment. Dr. David Samadi, Vice Chairman, Department of Urology, and Chief of Robotics and Minimally Invasive Surgery at The Mount Sinai Medical Center, commends Nyong'o on the African Cancer Foundation's efforts. "Earlier this year, Mr. Nyong'o recognized and acted on the fact that his country did not yet have the expertise to fully treat prostate cancer. His decision to the come to the U.S. for life-saving treatment, and then return to Kenya and initiate real change is revolutionary," praises Dr. Samadi. "I hope that more people from other countries will follow in his footsteps." In developing countries like Kenya, more deaths are caused by cancer than TB, malaria, HIV and AIDS combined. Kenyan statistics indicate 18,000 new cancer diagnoses each year, of which 50 people die each day. Nyong'o's foundation does not have an easy task before them. Minimal cancer information, lack of emphasis on early detection and dated treatment options are among the biggest battles for Kenyan's fight against prostate and other cancers. Cultural limitations are also at play. Kenyans place a large stigma on cancer, and in some areas, those diagnosed are still relying on historic, more natural healing methods. Due to these factors, most Kenyans receive their diagnosis very late, when it is considered advanced prostate cancer. Nyong'o was an exception, diligent about testing when he sensed something was wrong, despite test results to the contrary. Dr. Samadi believes Nyong'o to be among the growing number of patient ambassadors around the world. More and more, prostate cancer patients are coming to the United States for the advanced treatment and specialized prostate cancer surgerythey need. "They do their research and they know their best chances for survival are found here. The removal of the cancerous prostate and is the best way to go, in my opinion. Many international patients know that, unfortunately, their countries cannot offer them the expertise that U.S. surgeons can." Robotic prostatectomy procedures, when performed by experts like Dr. Samadi, can drastically improve prostate cancer survival rates. Dr. Samadi has performed over 3,500 successful robotic prostate surgeries and has a cure rate of 97 percent. Dr. Samadi believes it is important to be part of the prostate cancer solution abroad and in the U.S. and he urges Nyong'o to seek help from U.S. specialists as he furthers his foundation. "While education and screening are critical pieces of the puzzle, we must help these countries become independent in their fight against prostate cancer and all other types of cancer. That is the best way to save lives." Providing access to technology does not solve the problem, particularly when talking about robotic surgery. Studies indicate that surgeons must perform over 1,600 robotic-assisted laparoscopic prostatectomy (RALP) procedures before achieving acceptable outcomes. Based on the technology and expertise limitations in his country, Nyong'o recognized what many in other countries are beginning to, as well: experience matters. "Sadly, Kenya is not alone in their limited cancer-fighting resources," notes Dr. Samadi. "More than 70 percent of cancer-related deaths worldwide are occurring in developing nations like Kenya, and these numbers must change. I continue to work with and travel to countries that are just on the cusp of the cancer treatment and advanced technology we employ in the U.S." Dr. Samadi hopes that his hands-on instruction in other countries will give them the foundation they need to achieve expertise in the future. "Until that day," adds Dr. Samadi, "I will continue to welcome international prostate cancer patients to the U.S. with open arms. I have a dedicated international department with compassionate staff members who recognize and appreciate all cultural differences." Dr. Samadi's team assists these patients with all aspects of their journey to, and treatment in, the U.S. You can learn more about Dr. Samadi's comprehensive approach to helping patients from abroad atwww.roboticoncology.com/international/ and the information on his site is available in seven different languages. The United States, once the envy of many countries and star attraction for many in the Third World dreaming for that big break in their lives is today turning into the land of misery and nightmares for Americans and immigrant workers alike. Every single day, television networks are awash with senseless murders, broken homes, street families, lack of healthcare for 80% of its population and of course loss of homes commonly referred to as foreclosures. Here, when banks repossess mortgages because owners have defaulted in payments due to loss of jobs, they call it foreclosure. In the Healthcare department, it has been a sad tale for the great American nation. The one essential and basic requirement that has been implemented with relative ease by poorer countries like Cuba next door, Canadian neighbors in the North and tinier European nations such as Norway has eluded the world’s super power for 250 years. Attempts by the Clinton administration in the early ‘90s to give Americans universal healthcare came a cropper. Corporate America that controls the healthcare industry like pharmaceuticals and insurance industries would not allow it. Now almost 20 years later another Democratic president, Barack Obama successfully got the Healthcare Bill passed that he quickly signed into law. However, hardly before the presidential ink dried on the paper that made universal healthcare legal, a group of Republicans regrouped and started lobbying for the repeal of the same law that would have guaranteed many jobless Americans proper medication. Conservatives- mainly rich Americans argue that Obama’s socialist policies will force them to shoulder the burden of caring for poor Americans. Healthcare politics in America has its parallels in Kenya. For the last nine years, ministers Charity Ngilu and Anyang’ Nyongo’ have battled with parliament and trade unions to provide universal healthcare through National Hospital Insurance Fund with revised minimal contributions from workers of Kenya. However, the very people who are fully covered by private sector insurance companies to the tune of Ks 10 million a year have never seen the need to spread the service to cover the people they represent. In the front line opposing universal healthcare scheme in Kenya have ironically been the top leadership of trade unions who have opposed it on the basis that it will be a burden to their members. Now teachers are stuck with Ksh 36,000 a year as medical allowance yet when they get admitted to a reasonable hospital, this amount can only pay two nights bed unless of course they go to Kenyatta National Hospital or a rundown provincial or district hospital where they are likely to share a bed with another sick stranger or worse still, sleep on the floor with hardly any medication for days. As politicians in the USA and Kenya continue to bite their nails over universal healthcare, doctors, investors and other healthcare providers in Kenya are emulating their American counterparts. Doctors’ plazas and medical laboratories are springing up at every corner in up market suburbs of Nairobi to cater for up market clientele. Government inaction has created a vacuum that investors have grabbed with very minimal marketing input. In the USA, healthcare has taken a life of its own. Every state government competes for the best and most advanced teaching hospital and medical research institute. Take prostate cancer care and treatment providers in Atlanta alone, the RC Cancer Centers will make your stay in America easier and more affordable. If you are coming out of Atlanta, they will offer you opportunity for free or discounted lodging and will offer a great support network that will make you feel at home no matter how far you have travelled. Courtesy of the American Cancer Society, foreign patients may stay at the Winn Dixie Hope Lodge for free while receiving treatment. The Lodge offers private spacious suites for couples. It is located near the RC Cancers Center Campus and features amenities such as washers, dryers, gardens, a computer room, community kitchen and free transportation to and from treatment. With this touristic approach to the treatment of patients, it is not a wonder that those who have access to this knowledge will most probably prefer to travel to the USA for cancer treatment. A visit to several doctors’ clinics and medical laboratories revealed one thing: healthcare service providers are highly trained Public Relations professionals. They are courteous, friendly and ready to help as much as they can. There are no sullen and depressed faces at the front office, the kind that we are accustomed to in our medical facilities. We can achieve this level of patient care if only we invested more in training and welfare of our healthcare providers and the environment in which they operate. Facilities, good packs, tools and training go hand in hand. We cannot afford to ignore one without compromising our healthcare standards. The events in the USA this week reminded me of a news story back home in Kenya in which Kenyan MPs threatened to repeal laws that provide for the President, Prime Minister and Vice President’s salaries, allowances and retirement benefits if the trio did not stop the taxman from encroaching on the MPs’ incomes. Here in the USA and especially in Washington, there is a standoff between the world’s most powerful man and probably the world’s most influential parliament. As this standoff takes its toll, already states that cannot afford it are closing shop. Dakota has gone down while California is in the process of laying off public servants it cannot afford to pay. 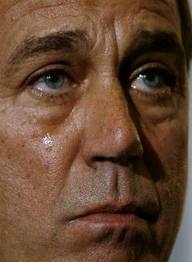 Mid this week, Barack Obama lost his cool and walked out on legislators negotiating taxation and debt ceiling issues. According to Barack Obama, Congress must learn to either eat its cake or keep it but not both. The same congressmen, mostly Republicans who are against raising taxes for the rich are the same ones opposed to raising debt ceilings. They don’t want the Obama administration to borrow to finance government operations while at the same time denying him the ability to tax the wealthy Americans- mostly conservative Republicans. 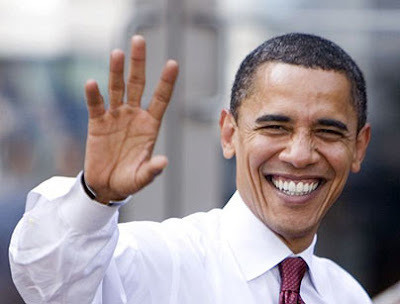 Now Obama has warned them that if by August 2, 2011 there is still a deadlock between the White House and Congress, America will surely close shop. Federal and state operations will stall and public offices will shut down. In equal measure, President Obama has sent alarm bells that if Congress passes a bill to control his borrowing without allowing him to raise taxes, he will veto it because the constitution gives him the mandate to defy an irrational Congress. More alarming, he has warned fellow Americans that if Congress fails to agree in the coming two weeks, there will be no cash for senior citizens whose only income are their pensions to pay their bills. And he has told them that should the great America come to that, they should know who to blame- Republican Congressmen. The tragedy of the American economic crisis is that if it does occur, its impact will be felt beyond the borders of the United States of America. The American economy is today so intertwined with the rest of the World Economy that it will be impossible not to feel the heat in Beijing, Berlin, Maputo, Moscow, Nairobi, Karachi, Timbuktu, London, and Paris in equal measure. The global nature of the present society, where just a few hard currencies control world economies has made us all vulnerable. Today when the dollar or the euro coughs, we all sneeze. It is the reason the American Congress must come to its senses before the giant goes down with all of us. Looking at the American politics today, one can easily see that the standoff between Republicans and Democrats currently occupying the White House after eight years of Republican reign is not devoid of other players outside Congress. There is the so called Tea Party caucus whose business is to see nothing good in Obama’s administration. Coupled with the fact that Obama is the first African American to occupy the White House in the nation’s 250 year history, many conservative Americans cannot wait to see his administration come tumbling down. In this game of pull- down- and- burn the house by any means necessary, the Republicans have not been alone. Rupert Murdoch, the beleaguered owner of FOX News Corporation has been at the heart of anti- Obama- anti-Democrats government ever since Murdoch set foot on American soil. Now, this billionaire media mogul who for decades played king maker to all politicians across the Atlantic, more specifically in British and American politics is facing the test of his time. Both House of Commons and Congress are baying for his blood with the first casualty being the 12billion BP bid to take over SKY NEWS. That deal is now off the table not to mention the $ 6 billion loss in share prices on Wall Street when the telephone hacking scandal by Murdoch’s boys first emerged. Murdoch may have been a very successful multi-billion media operator with massive influence in two of the most powerful nations on earth but now, it would appear like the chickens are coming home to roost for a man who for decades played God with leaders’ lives. If it is true that his media network bribed and paid off the police and criminals to hack telephones of the dead and the depressed in the USA and Britain, then his goose has been cooked. What this means is that as he prepares to testify in Congressional and House of Commons hearings, notwithstanding the resignation of his British CEO, Rebekah Brooks, no politician from either house across the Atlantic will defend Murdoch in such an explosive issue. Murdoch must begin to realize that he is now alone and must bear his own cross and face the music. 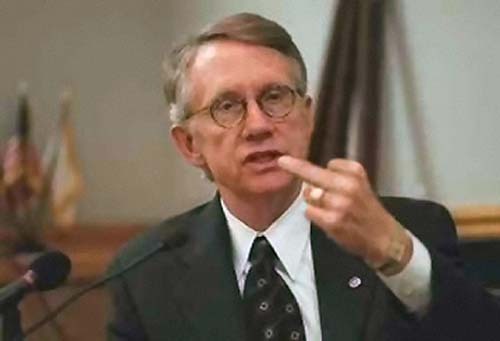 The flip side of this event is that after it is all over, he will have no moral authority to attack Democrats with impunity as he has done in the past. More importantly, he has reignited a whole new debate about media’s self-regulation and press freedom not just in the free world but in third world states such as ours. The question is; can the current crop of media managers and journalists maintain the dignity of the industry without resorting to criminal activities such as the type Rupert Murdoch’s staff are accused of? Was he aware that such criminal activities were taking place in his companies? How long have these clandestine activities been going on? 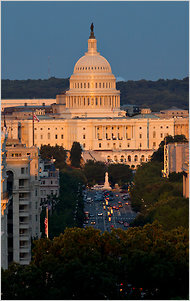 Dusk fell over the Capitol, the epicenter of thus-far fruitless negotiations over how to raise the debt ceiling that prompted anxiety and disgust around the city. The Debt Crisis — What Should Congress Do? Mr. Andrews, 24, thanked her for her thoughts, then checked to see how long her wait time had been. “Oh, it’s actually down to 30 minutes,” he said, cheered that it was not an hour and a half. Quickly, he returned to work, where the rest of an astonishing deluge — 15,000 voice mails and 30,000 e-mails a day — cried out for his attention. If the rest of the country thinks Washington has gone mad this summer, that is pretty much the view in this bewildered capital, too, even in Mr. Boehner’s overwhelmed call center. Among the bar patrons at the Old Ebbitt Grill worried about stock portfolios, the tourists anxious about disability checks and the current and former policy makers stunned by Washington paralysis, the mood was described variously as one of doom, disgust and disbelief. Washington is talking of little else. A German tourist standing nearby was more tactful but was nonetheless perplexed as he tried to teach his two teenage children about the scale of United States debt. “They are not quite understanding the sum of money borrowed,” said Peter Radewahn, 54, the director of a Bonn lobbying group. (The United States has about $14 trillion in debt, which is 99.5 percent of its yearly economic output. Germany has $2.85 trillion in debt, or 80 percent of its output.) Mr. Radewahn said he did not want to say more because he was a guest in America and wished to be diplomatic. Senator Charles E. Schumer, Democrat of New York, had no such qualms. He fumed on Friday that although Mr. Boehner was throwing “piece after piece of red meat to his right-wing lions” — that is, Tea Party-allied Republicans who are steadfastly opposed to raising the debt limit — they were never sated. Beyond the sniping of opposing lawmakers, this legislative crisis has reached deeper into the layers of Washington, perhaps even more than the protracted debate over health care did. Much of what is occurring in Congress may be incomprehensible, but the basic issue — that the United States needs to increase the limit on its credit card or not be able to pay its bills — is understood. One such visitor, Luke Stancil, 13, the chairman of the Teenage Republicans of Johnston County, N.C., had many questions and thoughts about the debt crisis during a trip to Washington last week. While waiting to see Mr. Paul with a group of other teenage Republicans in the Cannon House Office Building on Thursday, Luke said that although he liked conservatives affiliated with the Tea Party, he felt that in the interest of the country they should support Mr. Boehner’s bill to raise the debt ceiling. Meanwhile, weighing in from Chicago was its newly elected mayor, Rahm Emanuel, Mr. Obama’s incendiary former White House chief of staff, who, had he been in his old job, would have been engaged in hand-to-hand combat on Capitol Hill. “I just passed four bills today, so I’m very happy,” Mr. Emanuel reported. Well, what did he make of what was going on in Washington? “My basic point is, look, your country requires you to take responsibility and understand what an honest compromise is,” he said. He declined to answer a question about whether he missed the capital. At the Old Ebbitt Grill, across the street from the Treasury Department, Cory Carlson, a 27-year-old account executive for the EMC Corporation, a technology giant, was at the bar on Thursday with friends. Asked about the chaos on Capitol Hill, Mr. Carlson said that the health of the economy depended on Congress raising the debt limit and that he was worried about his investments. “Don’t get me started,” he said. In front of the Treasury building on Friday morning, Margaret McCoy, 64, who was visiting from Pembroke, N.C., said she was worried, too — about her government disability checks. She looked down the street toward the White House and saw a knot of demonstrators. Were they protesting the debt crisis, she wondered, a note of hope in her voice. A version of this article appeared in print on July 31, 2011, on page A1 of the New York edition with the headline: Nation Calls Capital Mad, And It Agrees.